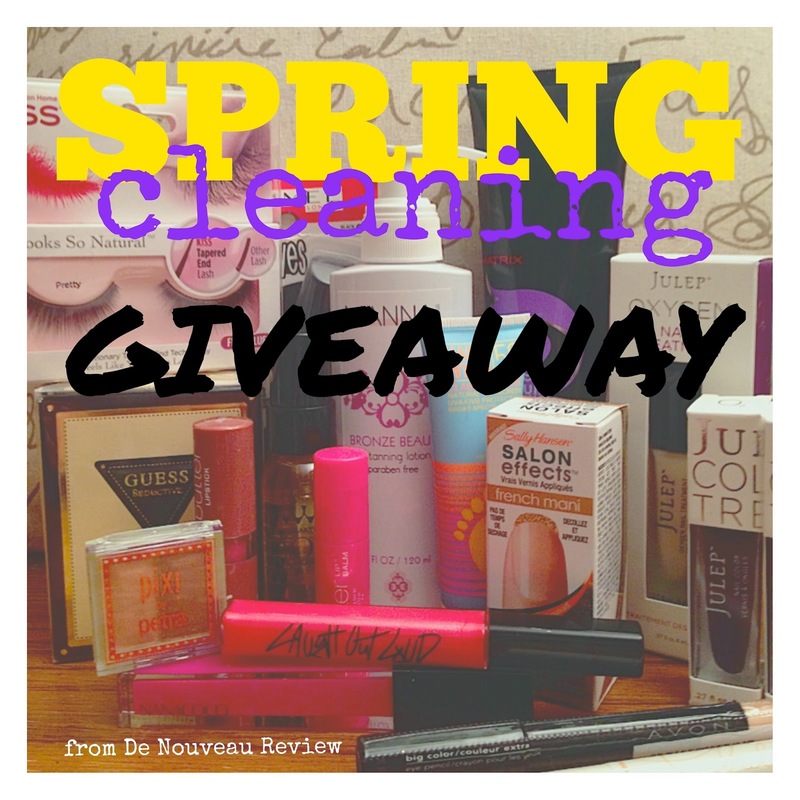 the ultimate spring cleaning giveaway! I have a large drawer full of new products that I go to when I'm running low on something. I throw clearance finds, gifts, subscription products, and samples in the drawer until it comes time to give them a try. In the course of spring cleaning, I've found several items that have been tucked away in the drawer for awhile now, and I don't see myself using them anytime soon. My loss is your gain, though, because I'm giving these products away! Rather than photograph and embed links for each product individually, I've found the products (or, in some cases, something close) on Amazon and added them to this wish list. Please be advised that the wish list was created to give you an idea of the products and is not necessarily representative of the items you'll receive if you win. For example, some of the Amazon items are full-size, where this giveaway includes only a sample size. For details regarding size and colors being given away, please consult the picture above or contact me. PLUS, a runner-up winner will receive a $20 Sephora gift card! * Spread the word, and good luck! *The winner (the name first chosen by Rafflecopter's random generator) will have the option to receive the Sephora gift card rather than the featured giveaway, if he or she so desires. If the winner so elects, the runner-up winner will receive the featured giveaway and not the Sephora gift card. This is awesome would love to be the one to win! I entered, followed and shared. What a great prize. Fingers crossed! Is that Michelle S. Me? Hmm..
No, sorry for any confusion! The winners will notified before they were announced here.